Cream Cheese French Toast Casserole – What's for Dinner Moms? My daughter had her friends over the other night for their annual Christmas sleepover. They have done this the past five years. It has changed some in size but the one thing they always have is laughter. We loved listening to them laugh and giggle. A friend recently wrote about how that last time you went outside to play with your friends don’t you wish you knew it was the last time? What would you remember? What would you do differently? We already told the girls they are expected to come back from college next year (even if we have to go and get them) and spend the night here. For breakfast I made an overnight casserole so that we could pop it in the oven before waking them up. With our children still on Christmas Break until January 8th I am going to be making this again soon. 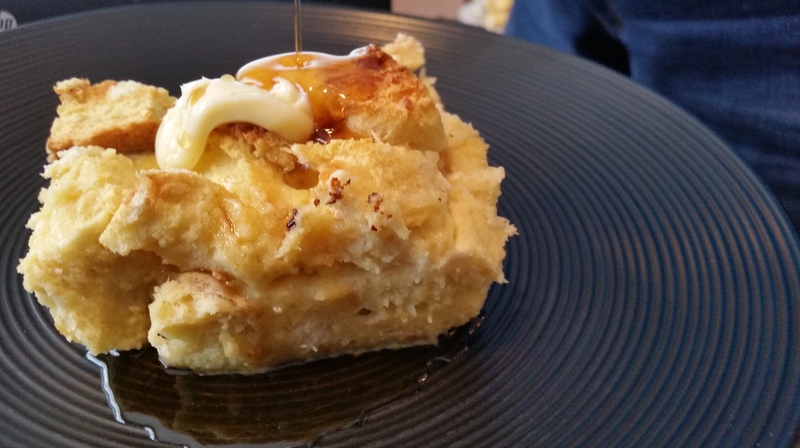 I am usually not a fan of French Toast casseroles but I have to say this was my favorite I have ever made. The sweetened cream cheese made the whole casserole soft and creamy. 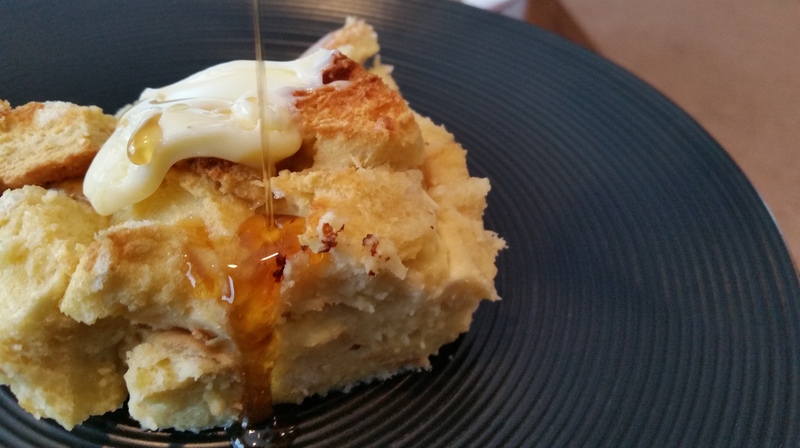 We served it topped with warmed butter and syrup and it was delicious! Serve this with a side of fruit salad or meat if you wish. Tip: This is best made with slightly stale bread. If you have a fresh loaf of French or Italian bread (homemade or from a bakery) cut into cubes and let sit in the pan for 1-2 hours before making the cream cheese mixture to allow the bread to harden just a bit. 1. Place the bread cubes in a buttered 13″ x 9″-inch baking dish. 2. In a large bowl beat the cream cheese with sugar at medium speed until smooth and well blended. 3. Add in eggs one at a time mixing well after each. 4. Add in half and half, maple syrup and vanilla and beat until well combined. 5. Pour the cream cheese mixture over the bread cubes, using a fork or spoon gently mix so that the cream cheese mixture coats all the pieces. 6. Cover with plastic wrap and refrigerate for at least 8 hours. 8. Remove the dish from the fridge and let it rest for 30 minutes prior to baking. 9. Bake uncovered for about 45-50 minutes or until set and a golden brown colour. 10. Serve with warmed butter and maple syrup. It sounds delicious and similar to Bread pudding. Yum!! Yes, I didn’t even realize it. Thank you! Definitely! That would be amazing. This sounds really good! I like the sleepover story too. How sweet. I love having 4 and 5 yr old little boys. It’s a shame they have to grow up! Good luck on posting 6 times a week. What a challenge. Thank you! It is very rich but so good! Cream cheese makes everything better. Thank you. It most certainly does! Thank you! Hope you are having a great new year! I am definitely going to try this when we take another trip up to our little red house up north. Casseroles are great for traveling. Looks yummy. Thank you! Also follow you on Instagram. Love the look of your site. I’ll be right there… actually, these cinnamon rolls are already consumed. Next? Pingback: My Top 5 Recipes for January 2018 – What's for Dinner Moms?